Playing sports with distorted vision can significantly impact your performance. Everyone – from children to adults – should see a Dacula optometrist or eye doctor for a comprehensive sports vision exam each season. Visual acuity is as important to sports as training is. Without optimal vision, your ability to return your partner’s ball, hit a homerun, or nail a hole-in-one is severely limited. that your vision could be negatively affecting your game even if you are seeing clearly? That’s because vision is interconnected to other skills, such as hand-eye coordination. A Dacula sports optometrist or eye doctor can help you learn exercises that will maximize the skills you need to deliver your best performance. Do I need to see a Dacula eye doctor for a sports vision test? It is highly recommended that you see an eye health professional who specializes in sports vision if you participate in high-impact or competitive activities. According to the American Optometric Association, thousands of eye injuries occur every year in connection to sports. By visiting a sports optometrist, you can learn ways of protecting your eyes, as well as maximizing your visual acuity and coordination. What should I expect during my sports vision appointment? What should I expect after my sports eye exam? Your Dacula eye doctor will make recommendations for treatment, if applicable. This may include vision therapy, eye-hand/foot coordination exercises, or even the use of corrective lenses. 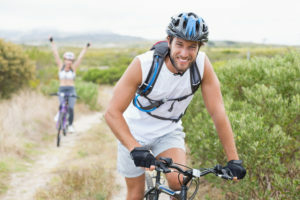 You may also be advised to wear sports eyewear to protect your eyes from injury while you are active.